The Great Merlini waits impatiently at the door of the Hotel Astor. Inspector Church is late for his meeting with the famed magician, with whom he consults when homicide cases venture outside the realm of the possible. A ventriloquist has attempted suicide in the wake of his wife’s mysterious strangulation. Among the suspects are a snake charmer, a nine-foot giant, a tattooed man, and a gaggle of crap players - and this is one of Merlini’s simple cases. He will pick out the killer, with no more effort than he might a rabbit in a top hat. 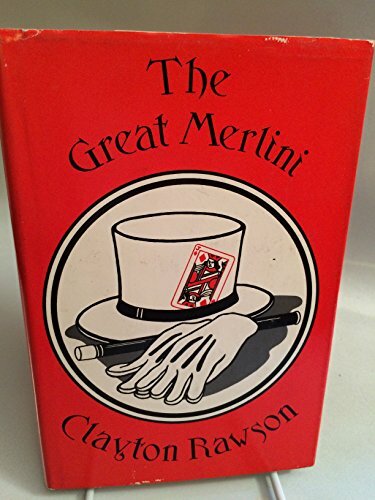 In these 12 short stories, all originally published in Ellery Queen Mystery Magazine, Clayton Rawson’s greatest detective confronts puzzles that would leave a lesser magician’s head spinning. From vanishing blackmailers to murderous mediums, no cosmic crime can baffle the Great Merlini.